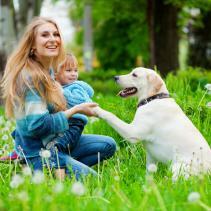 Not all dogs tolerate the experience of contact with people in the same way. It is important to identify and respect the dog's body signals that indicate that the interaction is not pleasant for the animal. 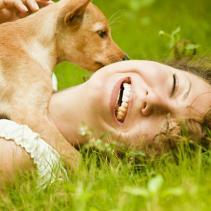 For many people, touching, hugging and petting a dog is a very pleasant and rewarding experience. In fact, scientific research confirms that while petting a dog, people experience a decrease in heart rate and blood pressure, as well as concentrations of hormones in the blood associated with a state of stress. 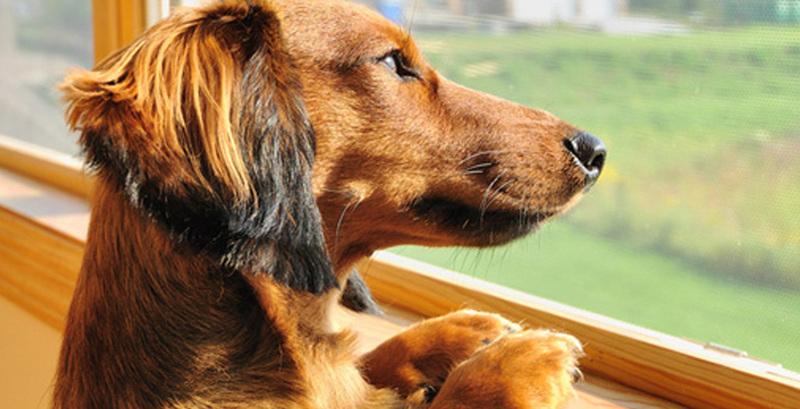 But not all dogs tolerate it in the same way, especially if the person is unknown and very invasive in the way he or she approaches the animal. A dog who is not comfortable receiving these attentions will emit very subtle signals at first that will become increasingly obvious if the person does not understand the message. Licking its muzzle, yawning, closing its eyes, looking away, turning around or lifting one of its forelegs are some behaviours that suggest that the dog is not enjoying the interaction as we are. If these early signs are not effective, the dog gives a clearer message, moving back, putting its ears back, bending down, putting its tail between its legs and lying face up. If these signals are not interpreted either, the dog may change its strategy. Stiffening, gazing, growling, baring its teeth and, in extreme cases, trying to bite are another way to communicate a message of discomfort to the person who has not yet understood. When faced with these signals most people back off, and they may unknowingly be contributing to the cause of a long-term change in the behaviour of this animal. If its aggressive behaviour is the only effective way to prevent annoying contact with people, more subtle signals of avoidance lose value. This type of situation often occurs in the street, when a dog meets a stranger who wants to greet it insistently, regardless of the signals of avoidance that the animal is showing. Learning to read and follow these signals is critical for the dog not to be forced to escalate the intensity of its body language and so that it can learn to use aggressive behaviours to keep away the unwanted attentions of some people.